We're seeing more and more devices come to the market with USB Type-C charging ports instead of MicroUSB. The new standard is reversible, more convenient, and potentially faster and more powerful than the previous Type-A one. (David Ruddock wrote a detailed explanation that I advise you to read in order to understand the intricate details of this new connector.) However, it is creating a bit of a ruffle with consumers who are now opening up their brand new Nexus 5X boxes, for example, only to find a Type-C charger and a single cable included. In order to charge those shiny phones from computers and traditional Type-A chargers, they have to buy new cables and adapters. 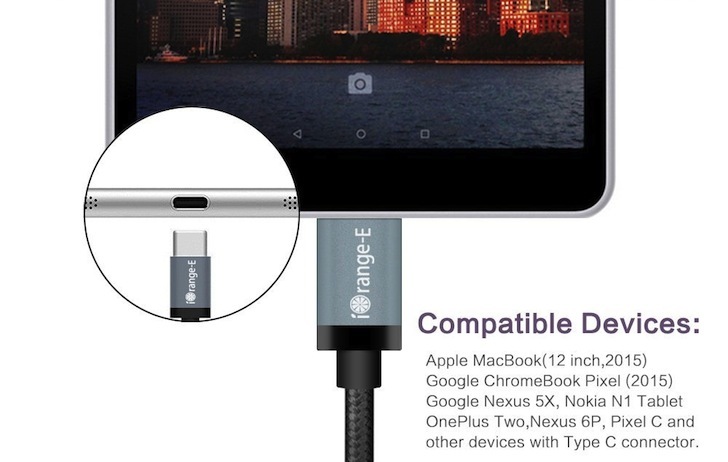 But not all USB Type-C accessories are created equal as Google engineer Benson Leung has discovered. He has been working on several products from the Pixel line that use the Type-C connector and thus knows the standard and its specification requirements very well. Upon testing some third-party Type-C cables and adapters, he and his team have noticed that a few of these are not compatible with the standard and are potentially dangerous to your device's ports. Benson has started reviewing these products on Amazon, praising those that adhere to the specifications and work as intended with the Chromebook Pixel and other Type-C devices, and pointing out those that deviate from the standard and thus either don't work at all or do but could damage your hub or charger on the Type-A end. He has gone through 7 cables and adapters now, only endorsing the $19.99 Belkin and the $14.99 iOrange-E cables. And it seems that other companies are already contacting him to send their own products for testing, so you should see more options on his review list soon. In the meantime, if you want some Type-C to Type-A cables, you may be better off picking one of his recommended choices.